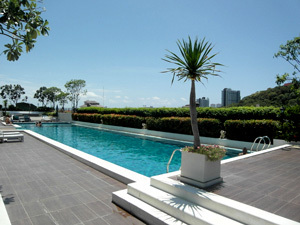 This new condominium has a roof top swimming pool with view of Pattaya Bay. 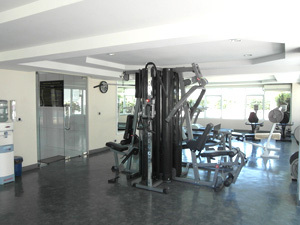 It features a quality fitness center, tanning beds on the rooftop, reception, 24 hour security & CCTV camera system. 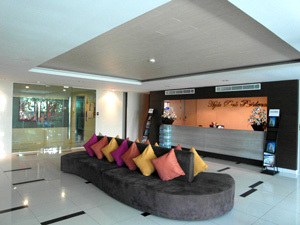 It is located 50 meters from Thappraya Road with the main baht bus route right on Thappraya Road, within walking distance to Walking Street, Big Buddha just up the hill, and Bali Hai Pier. By baht bus it will only take you a few minutes to Jomtien Beach & on the way there you have the best restaurants that Pattaya has to offer including Manhattans, Bruno's, Mata Hari, News Cafe, Indian by Nature, Linda's and many more. There are motorbike taxis at the entrance of the condominium & there is safe under-cover parking for your vehicle. 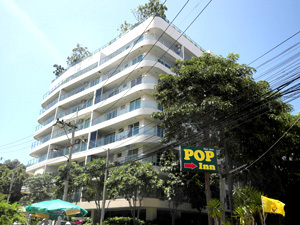 Click here for a Pattaya Map and the location of Hyde Park Pattaya. Opens in a new window. Safe under cover parking, 24 hour security & CCTV camera system, key card access, roof top swimming pool, good quality gym & reception.